The prospect of fire devouring all within its path is frightening. Having lived through the Port Hills experience a couple of years back, I think many of us have felt the terror, understood the anxiety that our whānau in Whakatū are currently going through. Over these last few days, Te Pūtahitanga o Te Waipounamu has been keen to support all our whānau in the Tasman district to stay safe as the fire spread. We have had some of our team attend the Police briefings; trying to put in place support for Whakatū, Te Āwhina Marae, and Te Hora Pā; should accommodation be needed for evacuees. There are so many elements associated with the impact of out of control bush fired in our communities. People with asthma, bronchitis, emphysema or other lung disease are at greatest risk from smoke inhalation. Those with angina or other heart disease might also be more affected. Our whānau who experience anxiety are at risk; children and elderly may feel particularly vulnerable. We are urging whānau in Nelson and the Tasman district, if they are not at immediate risk of the fire (and therefore evacuation) to remain indoors; close all the windows and doors; and to switch off the air conditioning and heat pumps until the plume has dispersed or moved away, and you can no longer smell smoke. As this post went to air, our whānau advised us that a new fire has now broken out in Atawhai in the hills opposite Whakatū Marae. Our hearts are with you all. How wonderful was it to see all the posts coming in sharing whānau experiences of the day in which we recognise our founding document, Te Tiriti o Waitangi. 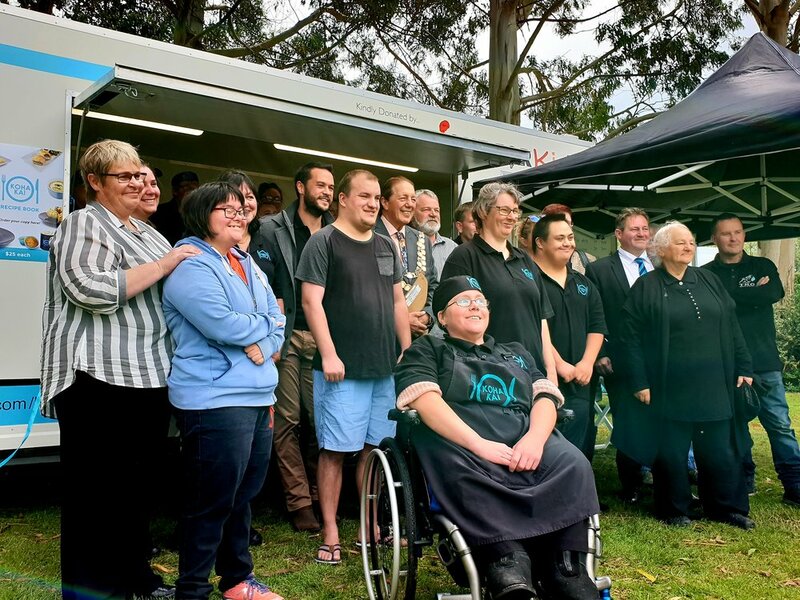 Murihiku whānau commemorated the day at Te Marae o Tahuna, treated to the generosity of manaaki from Darren Rewi and the local whānau in Queenstown. The whānau from Ōtākou toured around the Hākitekura memorial sites around Queenstown; culminating in the ‘Hākitekura Championship Games’! It was the first time that the Wakatipu had hosted the Ngāi Tahu Treaty of Waitangi commemorations; which are usually held in Bluff or Ōtākou. There were cultural performances (including Chinese, African and Brazilian performers) as well as a wide range of food items. 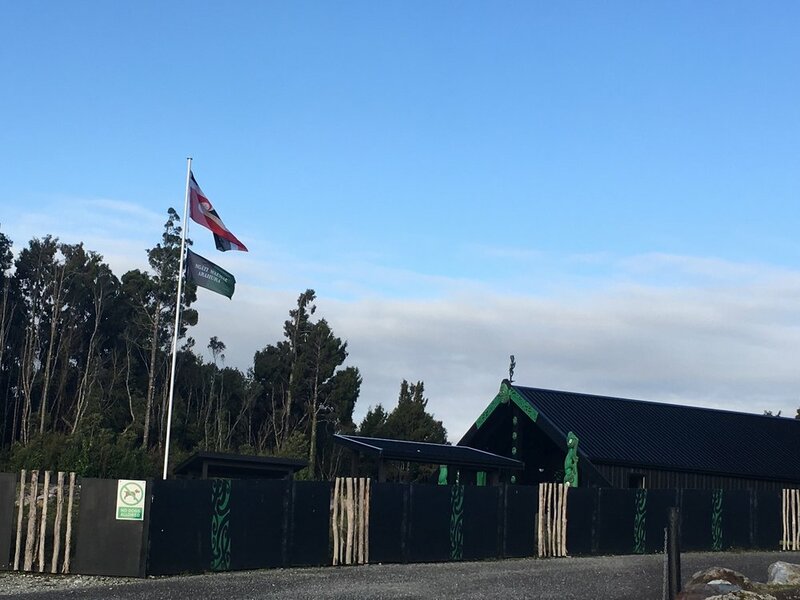 At Ōnuku Marae on the Banks Peninsula, the reports have been effusive in their praise of the manaakitanga, the majesty and the meaning of such a special gathering. Ōnuku had the particular honour of hosting our Governor General, Dame Patsy Reddy, as well as the welcoming ceremony for new citizens. I have attended previous citizenship ceremonies at Ōnuku on Waitangi Day and it always delights me how genuine the excitement and the emotion is for families from right across the globe being received by tangata whenua in such a precious way. At Okains Bay, Craig Pauling addressed whānau on the arrival of Kōtukumairangi at the landing alongside the Ngāi Tahu Reserve (opposite the museum). Meanwhile back in Victoria Square, our whānau attended the festivities of the whānau festival hosted by Ngāi Tūāhuriri. It was a magical day, with hangi, kapa haka, waiata, taonga for sale, mirimiri to ease your aching bones, and the highlight for me was seeing all our tamariki mokopuna jump up to the stage for the final dance off. And would it be wrong of this Mama to say that our son, our Waitangi birthday boy, won a special prize – not just for having the privilege of being born on this day – but also for the most dazzling dance moves – the Floss in full flourish! 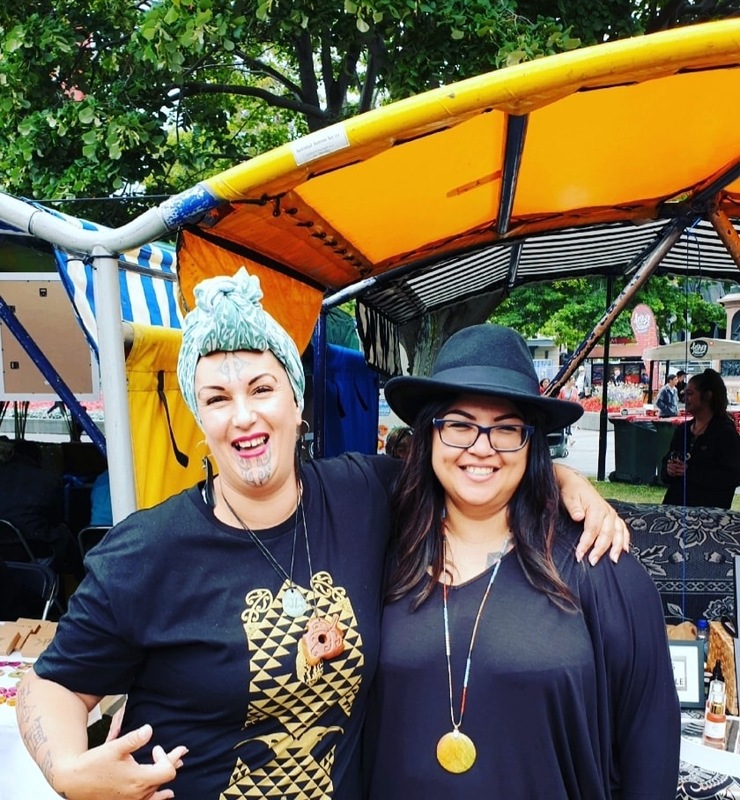 After two hugely successful markets, Te Pātaka o Wairau Māori Night Market was a huge hit on Tuesday 5 February 2019 from 4-8pm at Seymour Square in Blenheim. This relatively new cultural event, designed to showcase Māori businesses and products within the community has proved very popular with locals. Te Pātaka o Wairau provides a platform for emerging Māori businesses to introduce their products. It was great to welcome new stallholders such as Sofie and Lewis Smith, Te Tauihu Taonga with their beautiful range of taonga, as well as those who have been there from the start like Lee Mason and Sarah Wichman of Kumuhore Kanuka Essential Oil with their kanuka sprays, wai putiputi (floral water) and honey. Even 31 degree temperatures couldn’t put off this crowd, hungry for Te ao Māori! Our congratulations to Rangitane o Wairau, Ngāti Rarua and Ngāti Toa Rangatira for such a successful event. Te Pūtahitanga o Te Waipounamu was very happy to provide sponsorship support for that the impact of this initiative can be captured. 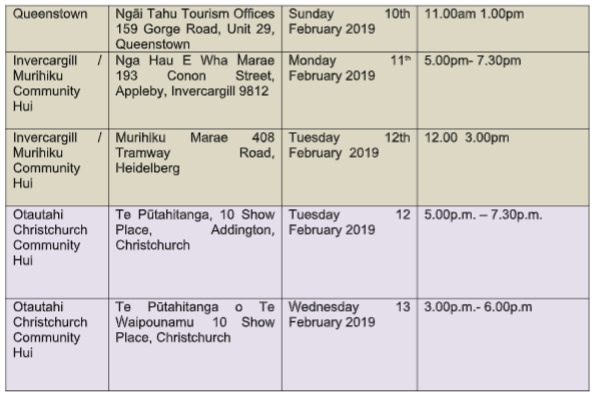 Te Pūtahitanga o Te Waipounamu has partnered with Ngā Pakiaka Morehu o Te Whenua to host a series of wananga based around Whenua Ora – Mahinga Kai. The initiative is inspired by the whakatauki “Te whenua te whenua, he oranga mo te iwi, nga tupuna, e tuku e hoa, e tuku e hoa” (The land is the health and wellbeing of the people, this I know to be true as it has been handed down, from generation to generation). The initiative is focussed on whānau learning of traditions and methods of food production, harvesting and management of mahinga kai in the Wairau. Their last wave seven wananga was held out at the Wairau lagoons. We are so appreciative of the rich rich and important sharing of the history to the next generation of kaitiaki. It has been wonderful to see how well the wave nine workshops have been received across Te Waipounamu. This week we have been in Westport, and Hokitika. Māori uptake of funded medicines shows Māori are continuing to receive medicines in the community at a lower rate than non-Māori, despite their health need being higher – contributing to greater inequities in health. This gap in medicine access is seen in chronic conditions like diabetes, heart disease, and respiratory conditions like asthma and COPD. With this context, Māori are not able to benefit from the health system in the same way as non-Māori and this is unacceptable. In light of this, I attended a hui this week in Wellington at the Pharmac offices. 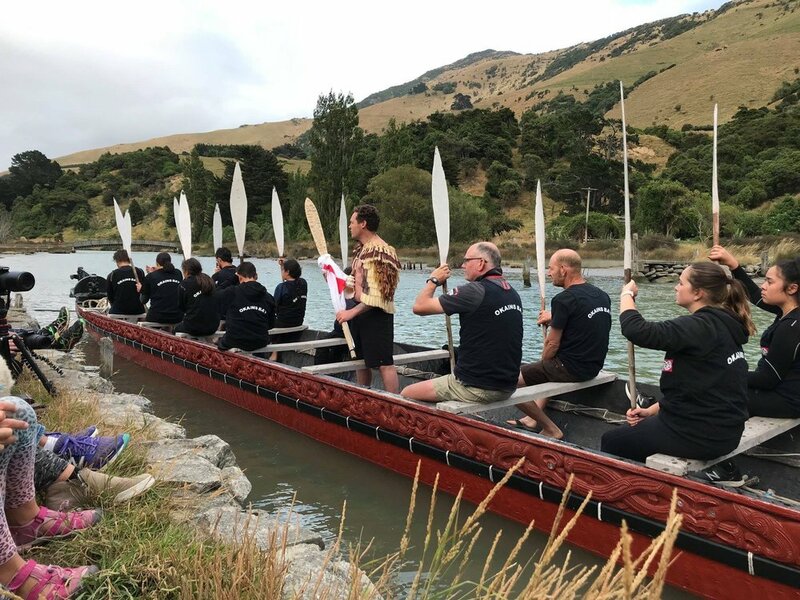 “He Whakanuia mō Waitangi@PHARMAC 2019” was hosted by Board Chair Steve Maharey and Chief Executive Sarah Fitt and their Senior Leadership Team, including Bill Kaua. The hui was also an opportunity for the launch of the Māori name for PHARMAC-Te Pātaka Whaioranga. 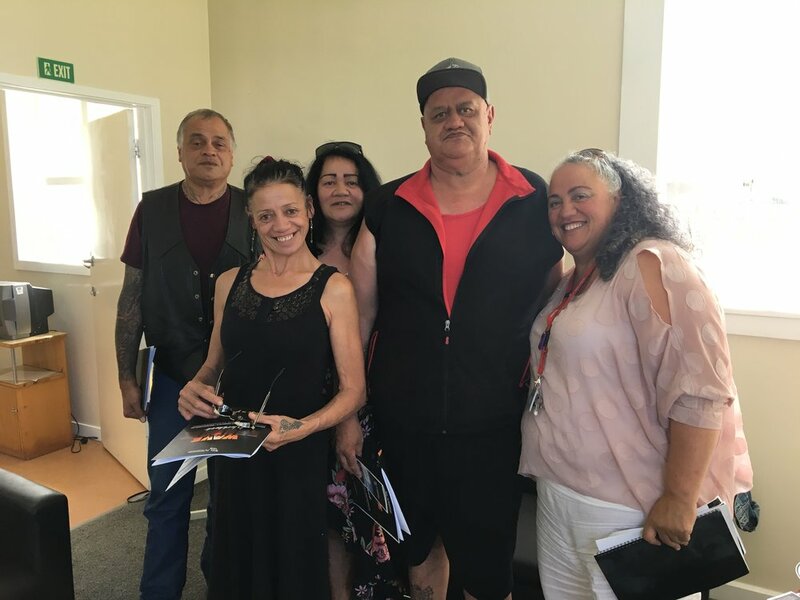 Merepeka Raukawa-Tait (Chair of Te Pou Matakana); Helen Leahy; Bill Kaua; Leanne Te Karu (Māori pharmacist); Karen Jacobs-Grant (Pharmac) and Awhimai Reynolds (Founder and CEO of iWahine NZ). Saturday 26th of February a dream of Koha Kai’s trainees came to fruition when Koha Kai’s food cart opened its door to the community. The cart is decked out with all the equipment needed to provide top class kai and beverage to the community. It’s been purpose built to enable Koha Kai’s trainees, who live with disabilities, to operate the food truck. Janice Lee, of Ngai Tahu and Ngāti Porou descent, told us her Ngai Tahu side sparks her imagination and her Ngāti Poou gives her the tenacity and perseverance to turn the dreams into reality. 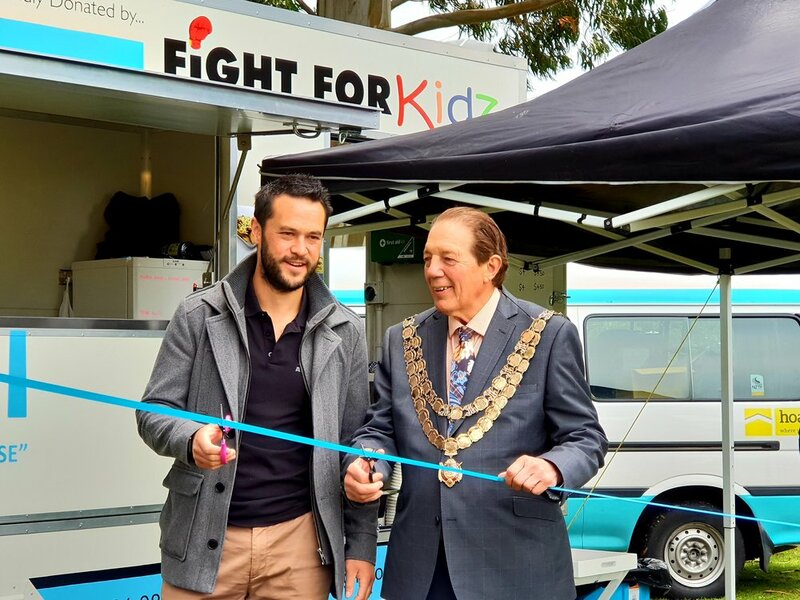 The Mayor, recently knighted Tim Shadbolt, proudly boasted of the awesome contribution Koha Kai makes to the Southland. He also talked about the collaborative spirit, with many organisations working together to create the cart, Southland style. He said his recent knighthood, combined with his longstanding vocation meant his was now known as a knightmayor. Between fifty and sixty whānau attended the opening. Zion and Rosie have been with Koha Kai since it started. Rebecca started working for Koha Kai in October last year. Te Pūtahitanga o Te Waipounamu congratulates Edward Ellison in his role as is the new Chairperson of the New Zealand Conservation Authority. The NZCA is a national statutory body that provides strategic policy advice to the Department of Conservation and the Minister. It also has statutory functions around approving conservation management strategies and national park management plans. Mr Ellison is an active member of Otakou Marae and former Deputy Kaiwhakahaere of Te Runanga o Ngāi Tahu, with experience in cultural advocacy, Treaty of Waitangi claim negotiations, environmental management, policy development and governance. Edward is also chairperson of Otago based environmental consultancy Aukaha and the Te Runanga o Ngāi Tahu Hazardous Substances and New Organisms Committee.